We are back in San Juan, Puerto Rico. Things are different this morning. We are getting off our cruise ship, with our suitcases. Many of our fellow passengers are heading for their homes, but we are staying a few days here in San Juan. Hurrah! Before we disembark, we want to show you some of our ship again. There are so many places to relax and watch the beautiful Caribbean. 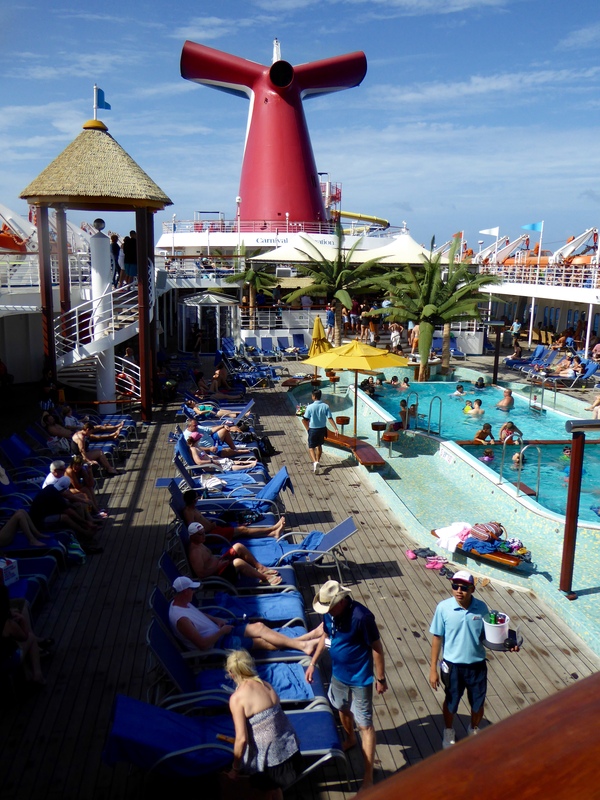 The pool area was so much fun. 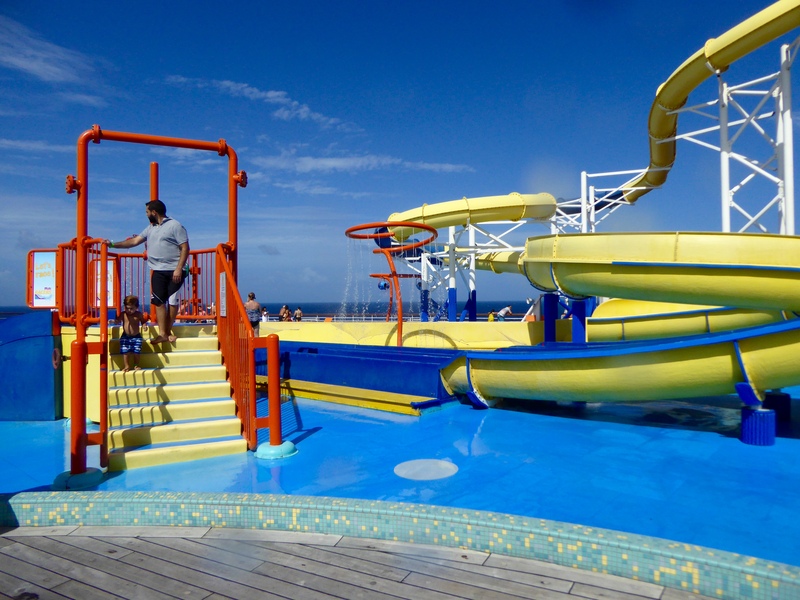 What great water slides on our ship. 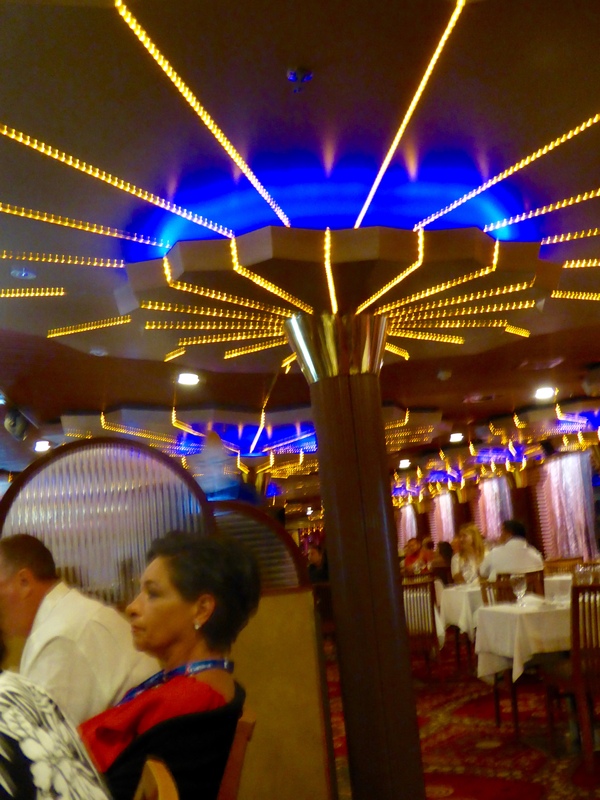 The dining room, available for all three daily meals, was so welcoming. Of course, meeting our new friend, Chip was fun. 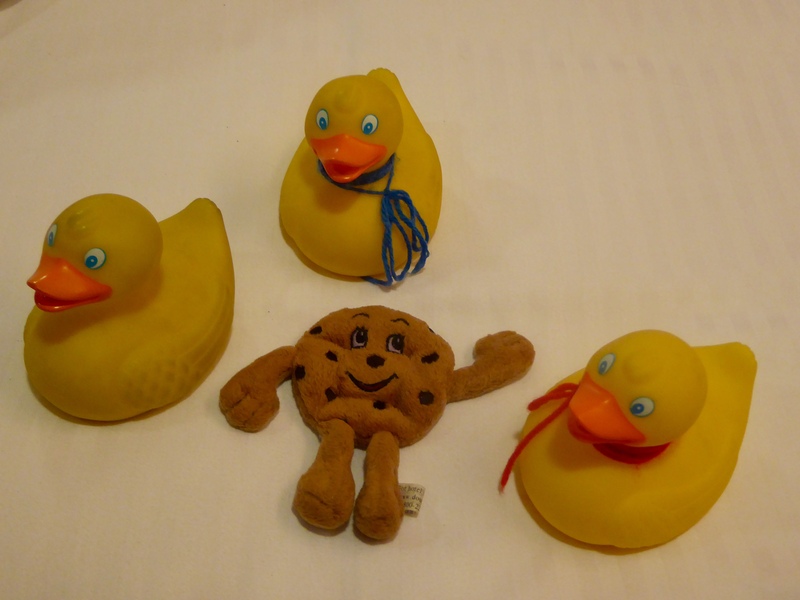 Colorado Traveling Ducks met Chip, Doubletree Hotel’s chocolate chip cookie. Lounging on the top deck was great. 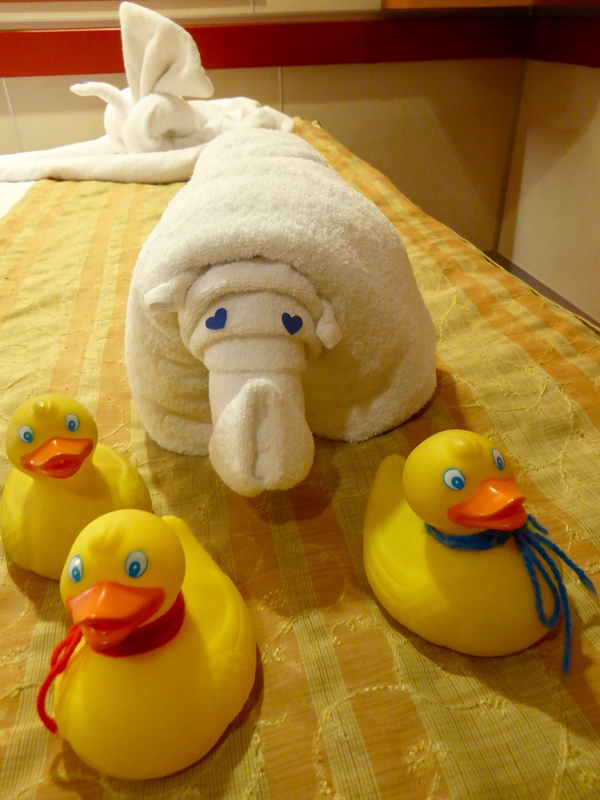 One of our favorite things was the towel animals. This rhino was our last towel. 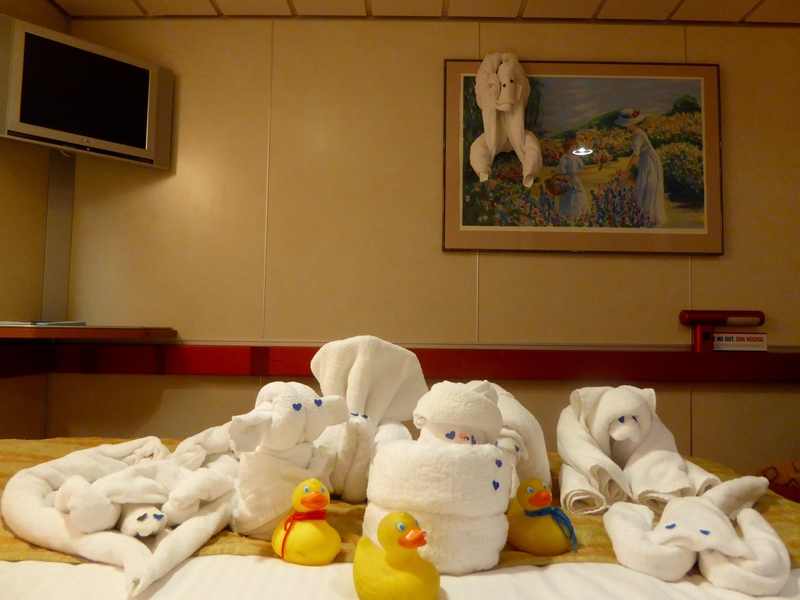 We ducks and humans really enjoyed all the towel art. Yes, we were able to keep many them in our room. Our ship, Fascination, was our temporary home. 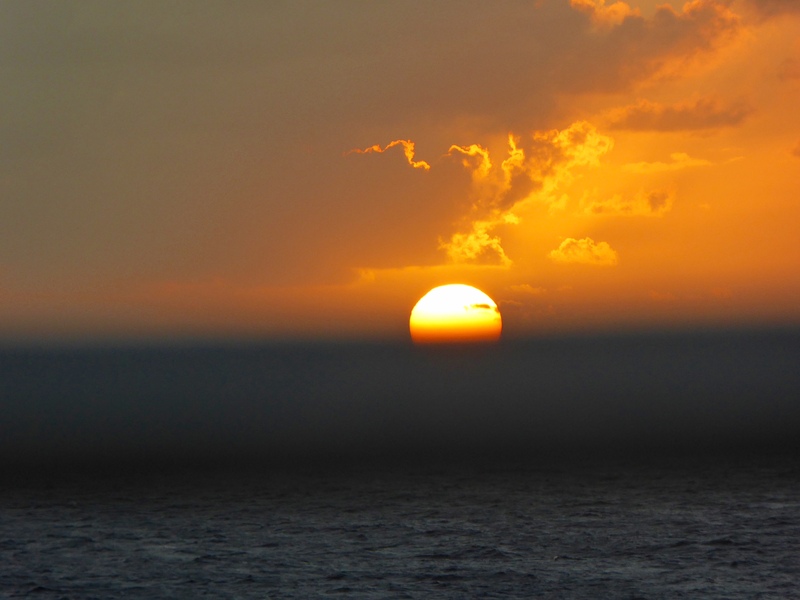 While the sunset last night, signaled the end of our cruise, we still have a few more days of vacation. 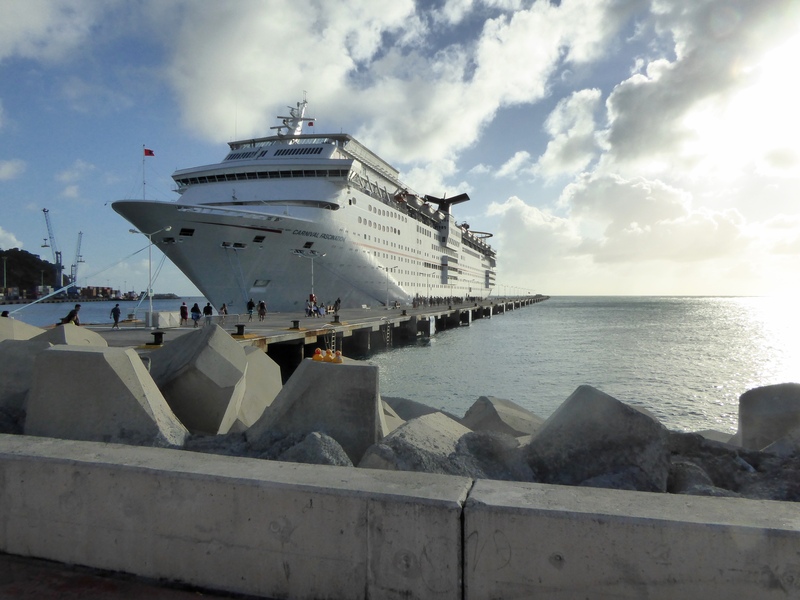 Stay with us as we enjoy some of San Juan, Puerto Rico. 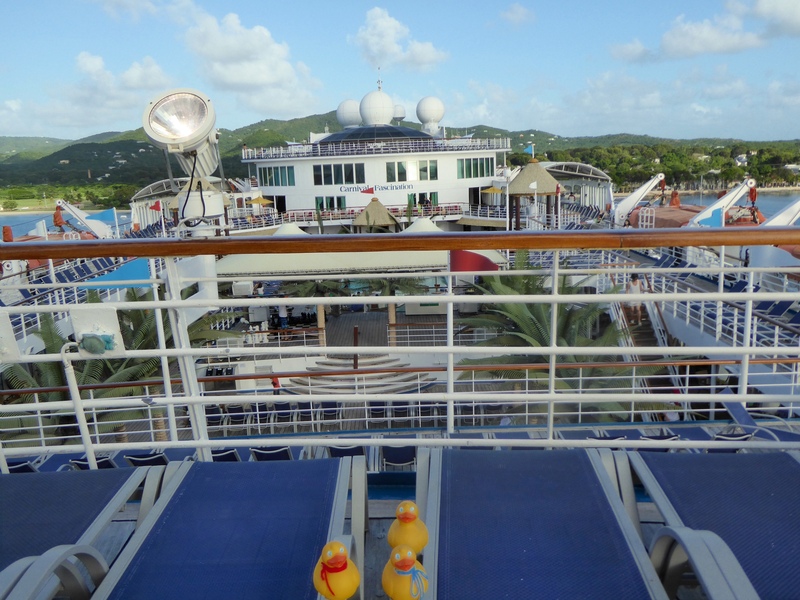 This entry was posted in Caribbean, Uncategorized and tagged Caribbean cruise, Carnival Fascination, Colorado Traveling Ducks, towel animals. Bookmark the permalink. Great idea to stretch the holiday out as much as possible, Ducks. I’ve enjoyed cruising with you. Thanks for joining us. Next we will explore a little of Puerto Rico. Especially the beach. Thanks for reading and commenting.